Guinness Nigeria Plc has announced the appointment of Ms Ngozi Edozien as a non-executive director of the company. A press release by the company reads that “Edozien is an alumnus of Harvard Business School and Cambridge University. “She started her professional career in investment banking at Solomon Brothers and JP Morgan in 1985 and later worked at McKinsey & Company, Inc. from 1992 to 1999, primarily in the consumer products and healthcare sectors. It added that she has served on the board of Diamond Bank, the American Business Council in Nigeria and Africa Investor Magazine. 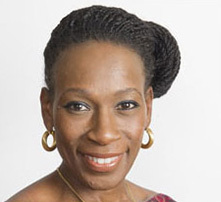 Ngozi has served as CEO in several world-class organisations including Pfizer Nigeria and Actis Capital. She currently serves on the Board of Mouka Limited, Stanbic-IBTC Bank Plc, UAC, Vlisco, Barloworld, PZ Cussons and Pagatech Limited. She is also a Director of Africa Leadership Network and Delta State Vision 2020. The Board also said it had accepted the resignation of Ms. Yvonne Ike from the Board of Directors of the company with immediate effect. Until her resignation, Ms. Ike was a non-executive director of the Company.